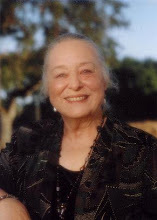 In 1974, Anne Perrah was given the gift of an NDE. An incredible feeling of well-being and unconditional love came over her so powerful that, to this day, she has never feared death. She had never heard of a “near-death experience” at that time and had no one to talk to about her experience for many years. Yet, her own spiritual journey changed dramatically as a result of her NDE. When her stepmother died, Anne’s own lack of fear about death allowed for her to help her stepmother to pass over more peacefully. Eleven years later, tragedy struck when Anne’s 22-year old daughter died in a fire. Anne was able to use what she learned from her own NDE to help her get through that spiritually challenging time. She will share her story with us in greater detail and answer questions afterwards.